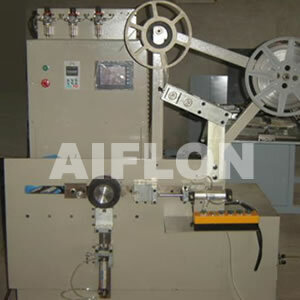 ﻿ Automatic Winder for SWG - China Automatic Winder for SWG Supplier,Factory - Cixi Aiflon Sealing Materials Co.,Ltd. Automatic work controlled by PC;Automatic weld. Especially for large batch fewer specs. Can make SWG with or without inner & outer ring, attaching high quality inner size molds. Especially for large batch fewer specs.